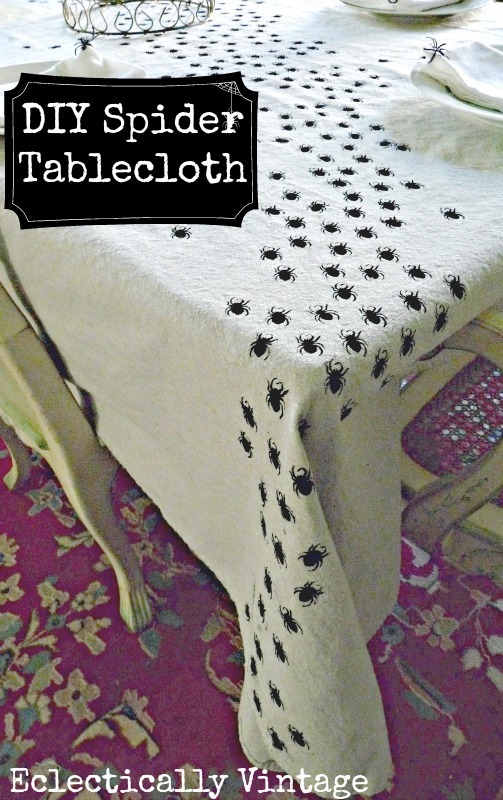 I’m Kelly of Eclectically Vintage and I’m thrilled to be fluttering my creative wings here! Well, I actually heart candy, so any excuse to beg for sugar is a hit with me. My girls always complain that our Halloween house isn’t scary enough. They want blood, gore and guts. 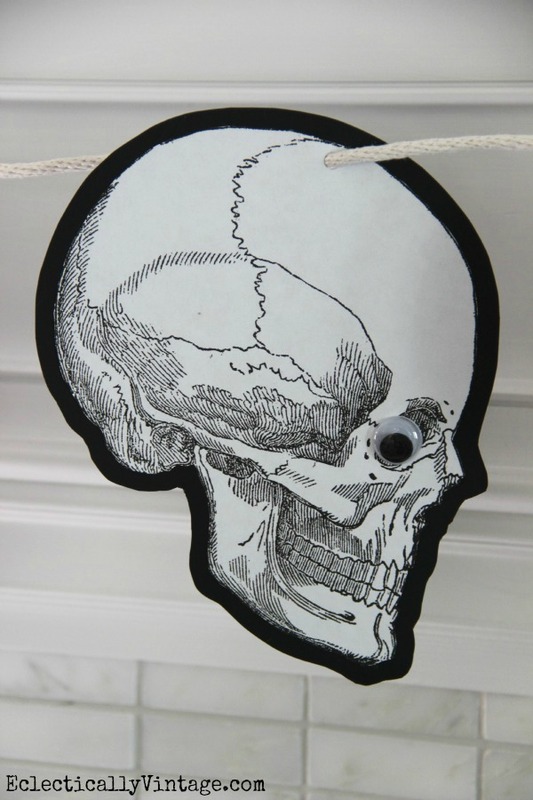 3) Glue on goggly eyes for fun! 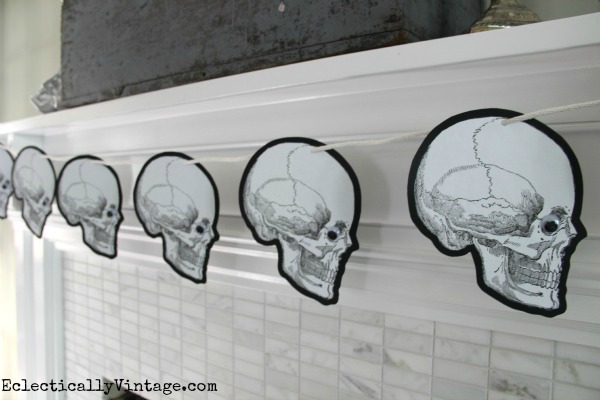 5) Hang from a mantel, doorway or window and prepare to frighten all who enter! here are a couple of my fave ideas! 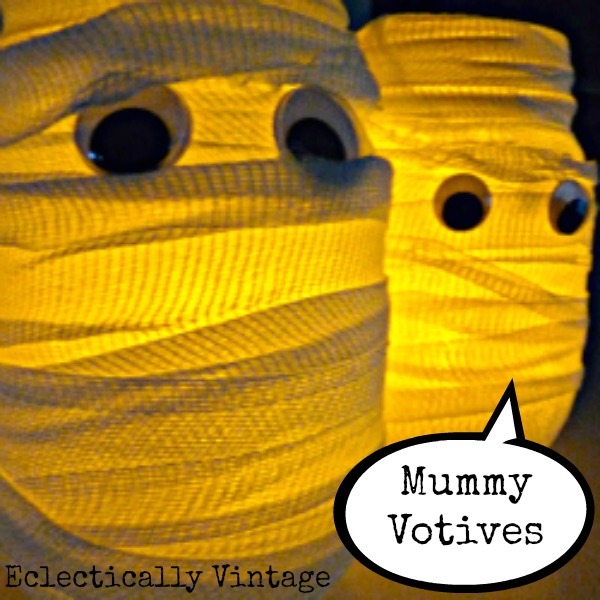 Happy Hauntings my little fairies – be sure to stop by Eclectically Vintage for more inspiration. 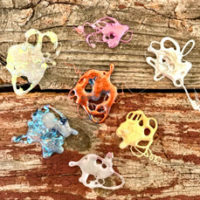 What is Hot Glue – A Comprehensive Guide! 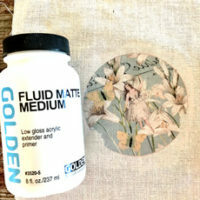 Image Transfer Medium Testing – Replacements for 1Gel! 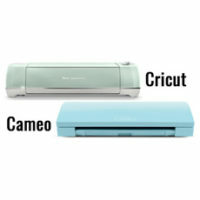 Cricut vs. Cameo – A Comprehensive Guide! Love this. 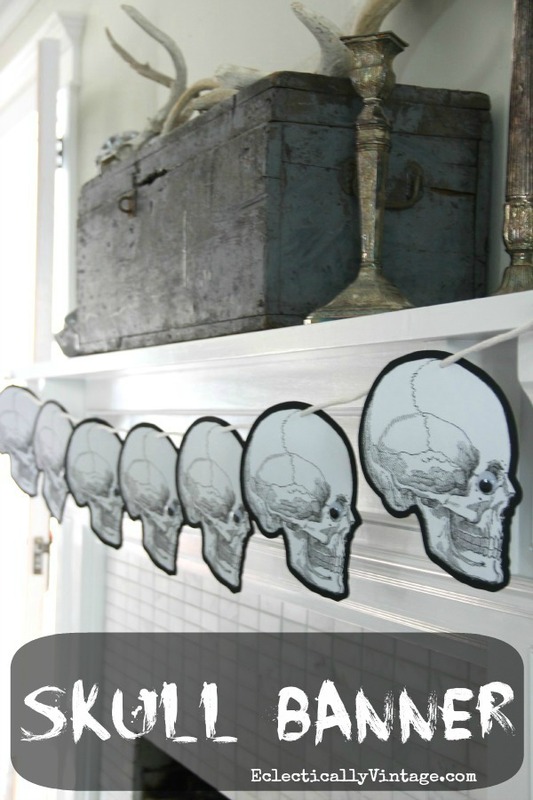 Had just enuf ink to print out 7 skulls, fun banner. I’m making several banners in hopes people will like them enuf to buy them. We don’t have kids around anymore either, but I still decorate. I belong to a Bunco group and I will be having it here for the month of October. Just the excuse I needed to make this banner. I love Fall, it is my favorite time of year. Crispy, not too cold, no frost on the ground yet and it reminds me of the pom pom corsages I used to get for Homecoming in College. Have a happy Fall and just wait until Christmas comes because I think that is my most decorating time of year. Have about 10 tubs of things to put out. We don’t get a real tree anymore. But I have a small Fiber Optics one just for that holiday. Don’t even get me started on Easter! So glad you like it JaneEllen – I love that you donate them to the thrift shop! This is so darn cute! Thanks for the printable and the idea! YAY!!!!! I finally got one right! I am still Cameo Challenged but if I can do this….anyone can! Thank you! Yes you can – I’m all about simple Julie! Kelly! What fun to see you over here on another of my favorite blogs. 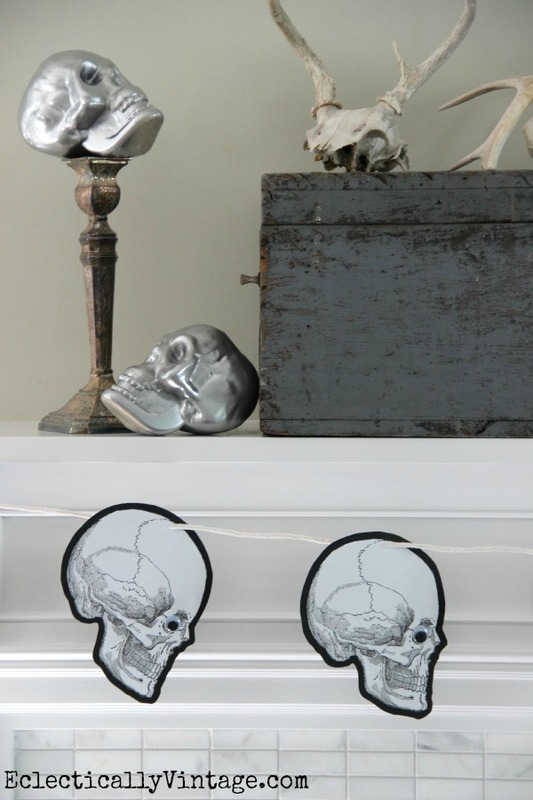 Love the skull banner, may have to do that! Use what you have – I’m sure it will be amazing! !